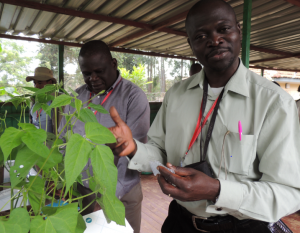 Few plant breeders in the world work on indigenous African crops. In fact, the lack of research on these nutritious and locally valued plants has been almost total. But Dr Enoch Achigan-Dako, a researcher from Benin, is working on four at the same time. He is equally passionate about each and, between training sessions at the World Agroforestry Centre (ICRAF), expounds on them one by one. Dr Benjamin Dowiya Nzawele, 42, arrived at the World Agroforestry Centre, also known as ICRAF, in Nairobi with an important brief from his national agricultural research institute: To “identify orphan crops not currently taken into account by INERA, their contribution in the context of climate change and how to improve them”. The scientist from the L’Institut National pour l’Etude et la Recherche Agronomique (INERA) station at Mulungu in the east of the Democratic Republic of Congo (DRC) had come to ICRAF to attend the African Plant Breeding Academy (AfPBA), where he and 28 other senior plant breeders from Africa are learning new genomic methods for plant breeding. But he had already been out of his duty station for some time. UC Davis is partnering in a global plant-breeding consortium that is fighting malnutrition and poverty in Africa by improving the traditional crops of the continent. The African Orphan Crop Consortium ­­— conceived by Howard Shapiro, a senior fellow at UC Davis and the chief agricultural officer at Mars, Incorporated — is making great strides in its ambitious attempt to map and make public the genomes of 101 indigenous African foods. These “orphan” crops are crucial to African livelihood and nutrition, but have been mostly ignored by science and seed companies because they are not traded internationally like commodities such as rice, corn and wheat. 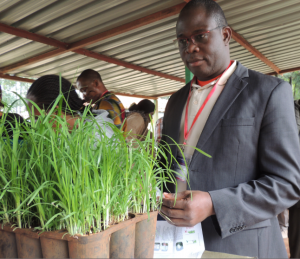 The genomic data on African orphan crops will help plant breeders more quickly select for traits that improve the nutritional content, productivity and resilience of Africa’s most important food crops. 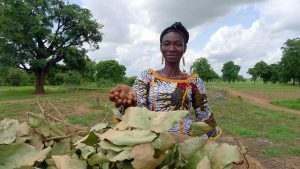 UC Davis, in partnership with the African Orphan Crops Consortium, is working to improve the indigenous crops of Africa in order to eradicate stunting, a medical condition resulting from malnutrition and chronic hunger. The African Orphan Crops Consortium was launched in 2012 by Dr. Howard-Yana Shapiro, a senior fellow at UC DavisCollege of Agricultural and Environmental Sciences and chief agricultural officer at Mars, Incorporated, who took on the task of sequencing the genomes of 101 indigenous African foods in order to help plant breeders improve these foods’ nutritional content, productivity and resiliency.